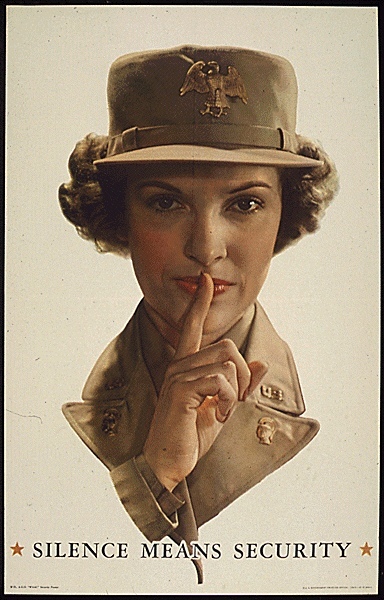 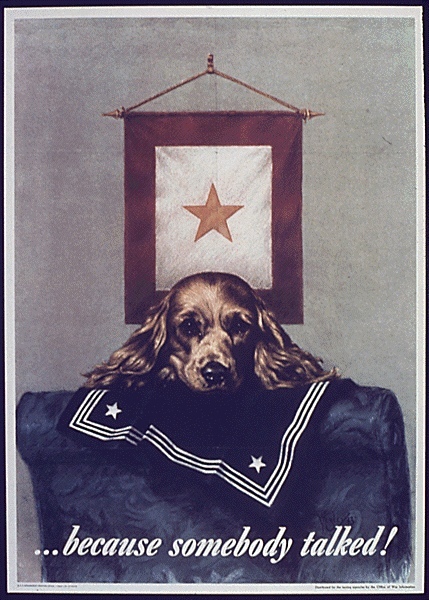 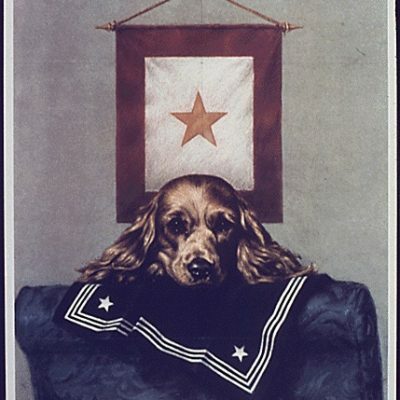 Military secrecy was a constant theme on the American home front during World War II. 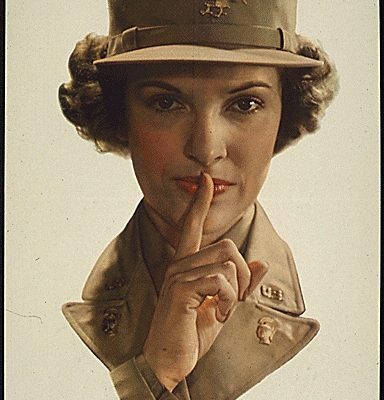 Many civilians had access to sensitive information, such as troop movement destinations or factory production runs, that would have been valuable to enemy spies. 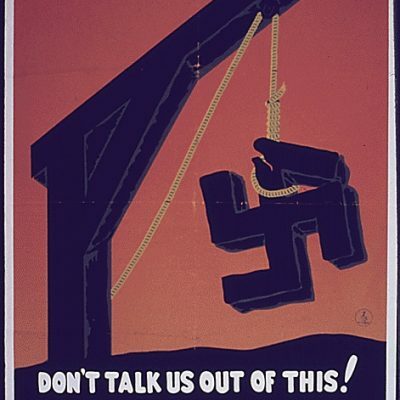 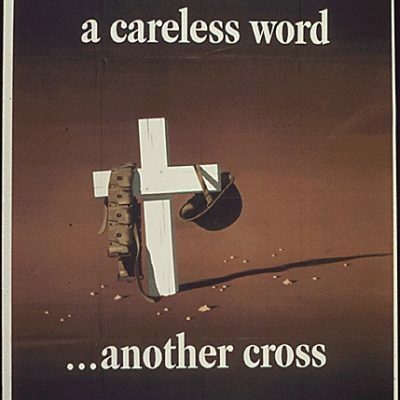 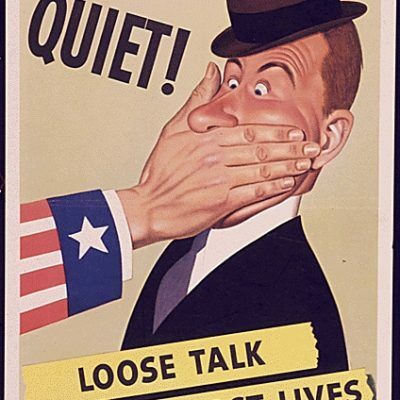 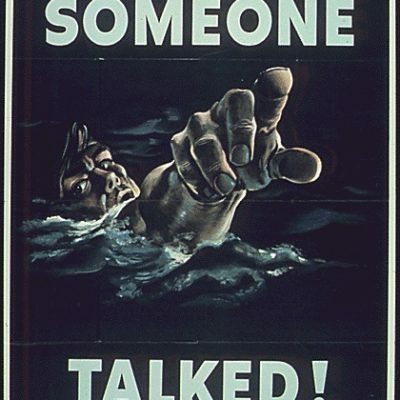 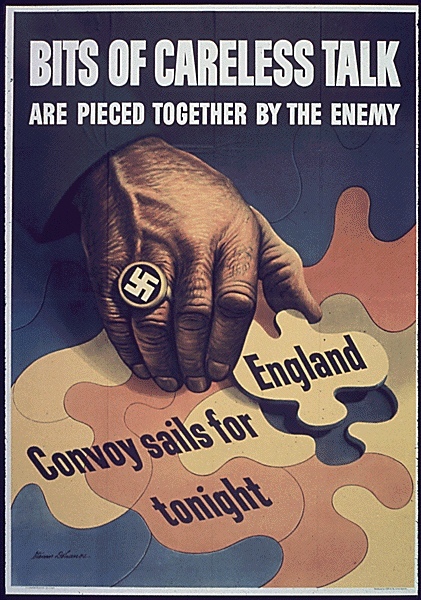 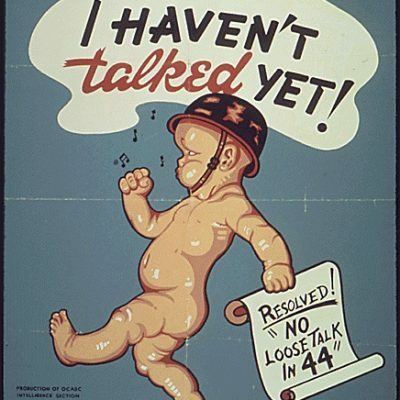 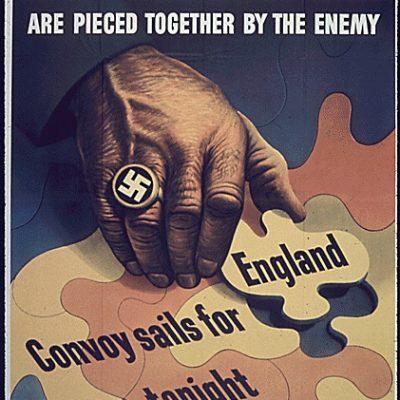 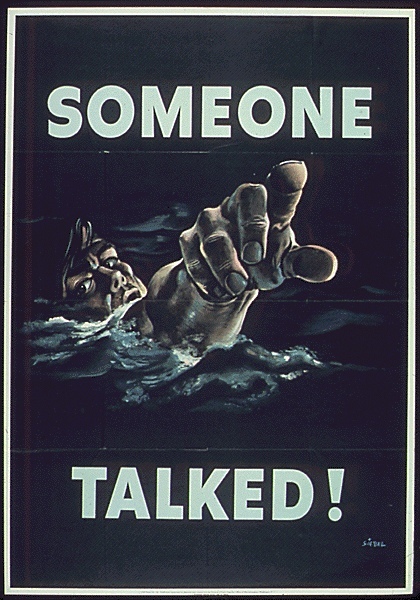 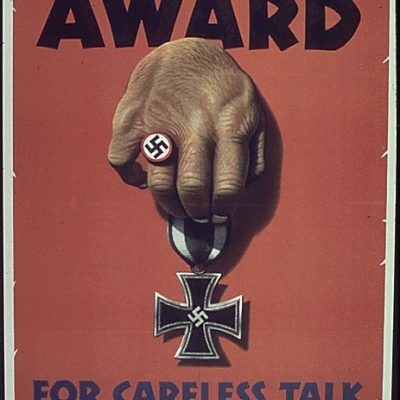 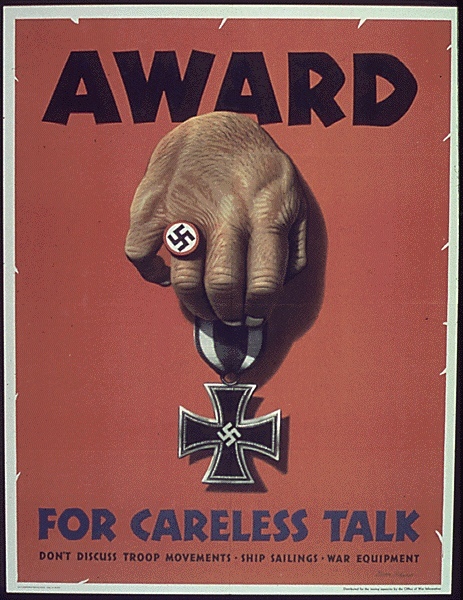 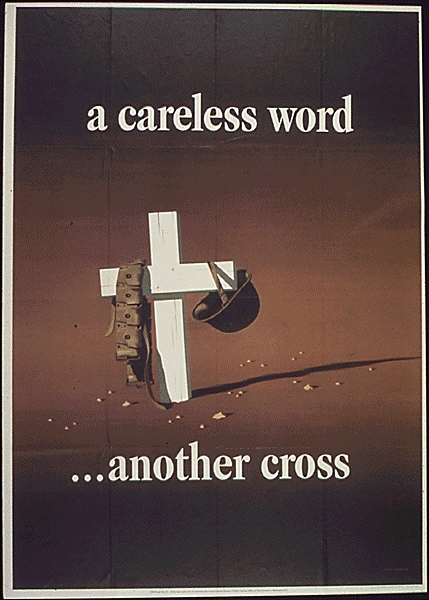 Both government and corporate propagandists used posters throughout the war to dramatize the importance of information security, at times suggesting that careless talk could even result in the death of a loved one on the battlefronts. 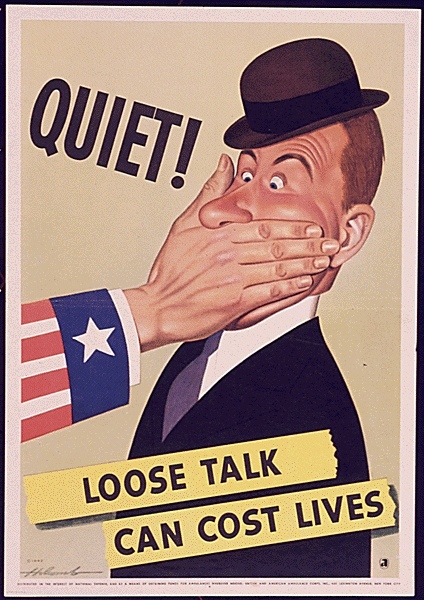 Don’t Talk Us Out of This! 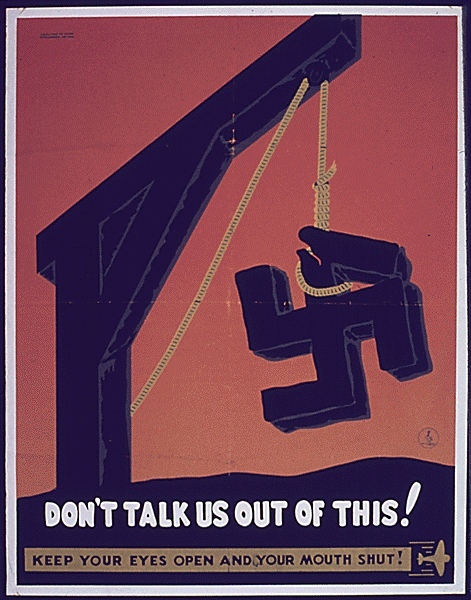 Title: Don’t Talk Us Out of This! 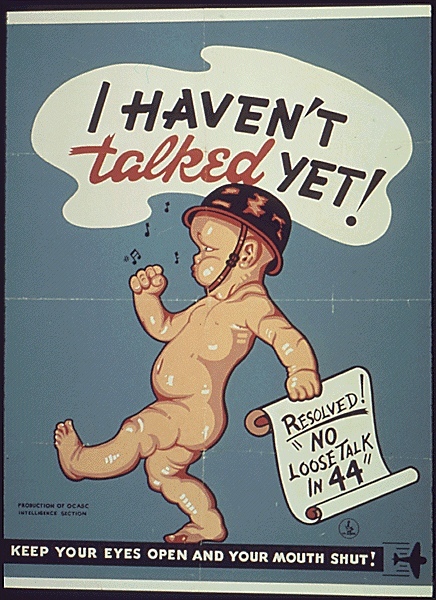 Title: I Haven’t Talked Yet!